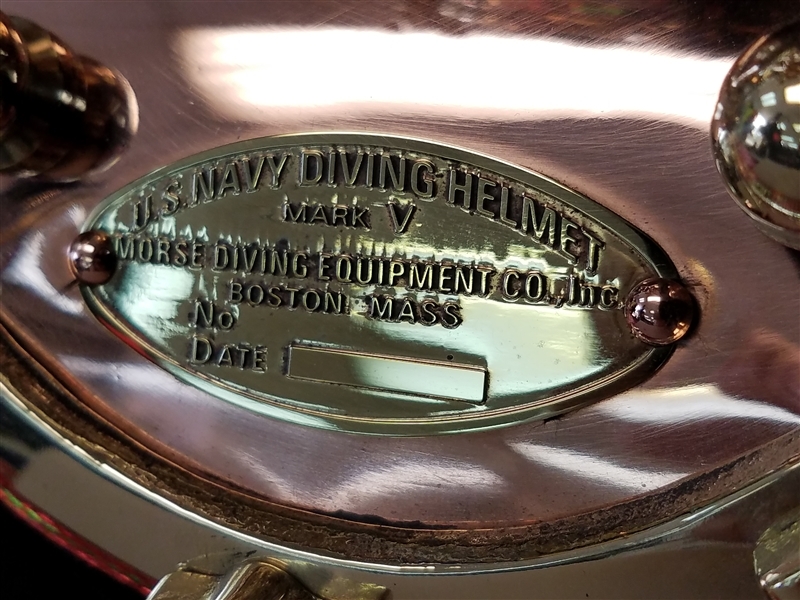 10.5" Mark V brass replica. Comes with a wooden base. 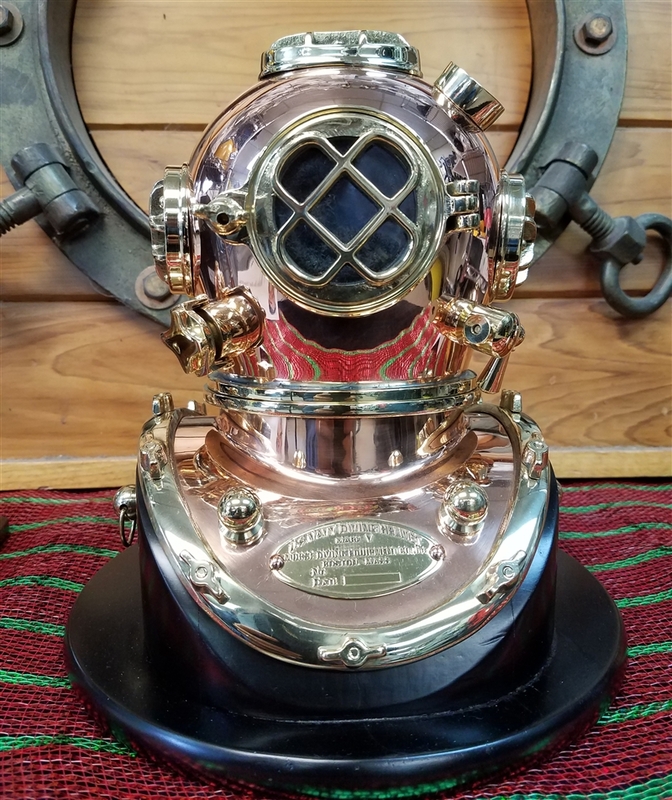 A must have for the scuba collector or retiree! Diameter of the base: 9.5"